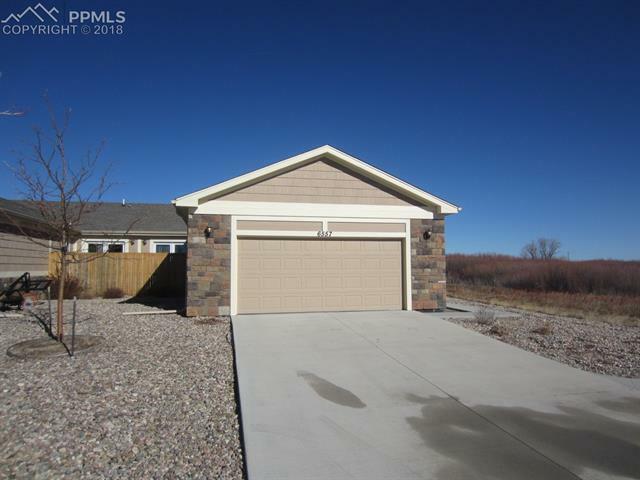 This beautiful three bedroom, two bathroom, 2 car oversized garage home is located in Falcon Vista. This home has ceramic tile, hard wood flooring and carpet throughout. The kitchen has wonderful stainless steel appliances and has granite counter tops! Granite counter tops are also in the bathrooms! Gas fireplace in the living room and central air! This home has wide doors and has handicap access in the bathrooms.